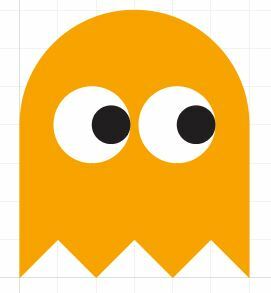 Apparently, the ghosts in the game Pac Man had distinct personalities that were put to use within the game’s logic. Blinky followed Pac Man wherever he went, Inky was Blinky’s follower, Pinky tried to think ahead of where Pac Man would be and Clyde wasn’t very bright. I always thought it might be pretty entertaining if someone created a video game from the ghost’s perspective. But I digress, in this tutorial, you will be introduced to the Shape Builder – a newish tool that makes building complex shapes from simpler ones very straightforward. Think of it as an interactive version of the Pathfinder’s Unite and Minus Front features. 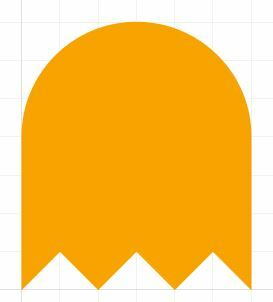 We’ll be using to Shape Builder to create the ghosts as well as Pac Man. 1.Turn on the Grid (VIEW menu > SHOW GRID) and Snap to Grid (VIEW menu > SNAP TO GRID) Type D on the keyboard to change to your default colors of white for the fill and black for the stroke. 2. 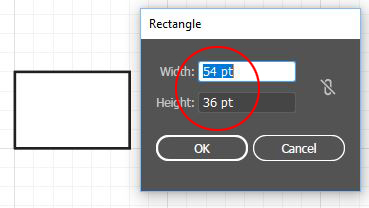 Select the Rectangle Tool and click on the screen and type in the dimensions 54pt for the width and 36 pt for the height. 3. 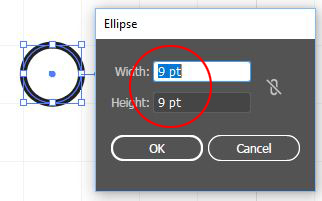 Select the Ellipse Tool (hold down the mouse or trackpad button on the Rectangle tool to reveal it) and click on the screen and type in the dimensions 54pts for both horizontal and vertical. 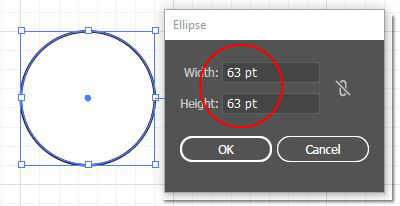 Align the vertical center of the circle to the top of the rectangle. 4. 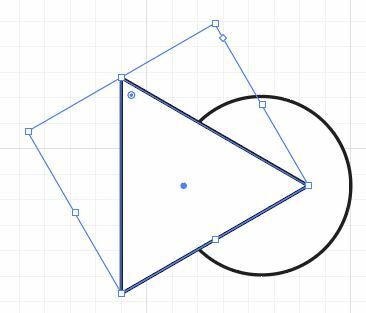 Zoom in to below the shapes and draw a triangle with the pen tool, the triangle should be two small grid squares wide by one small grid squares high – make sure to close the path by clicking back on the first point. 5. Select the triangle with Black Arrow and hold down the Alt/Opt key and drag a copy to the right, do it a second time for a total of 3 triangles. 6. Select all three Triangles with the Black Arrow and move them so their bottoms touch the bottom of the rectangle. 7. Select all of the shapes (circle, rectangle and three triangles) then select the Shape Builder tool – if you can’t find it the keyboard shortcut is SHIFT + M.
Drag the Shape Builder tool through the top of the circle, the bottom of the circle and the shapes on the right and left above the triangles (don’t touch the triangles.) 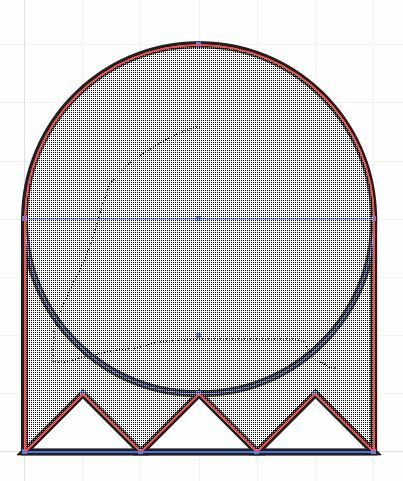 The Shape Builder will highlight the areas it will “add” together when you release the mouse button they will be joined. 8. 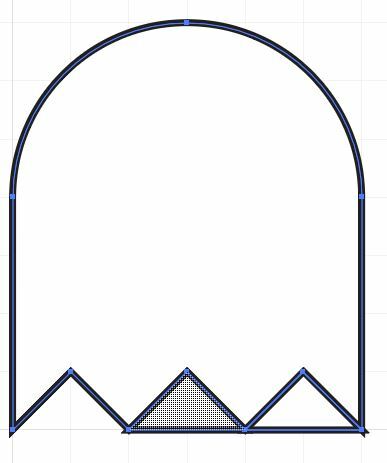 With the Shape Builder tool still active, hold the Alt/Opt key down and click on the triangles to subtract them from the overall shape. 9. Select the overall shape and change the fill color to #f9a300 and the stroke to none. 10. 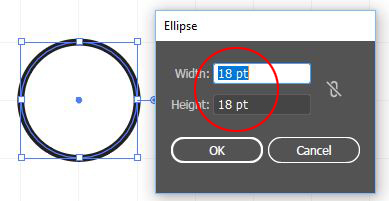 To make the eyes, take the Ellipse tool and click on the screen and type in the dimensions 18pts for both horizontal and vertical. 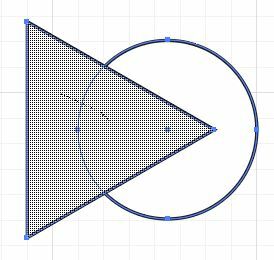 Make another circle with the dimensions 9pts for both horizontal and vertical. 11. 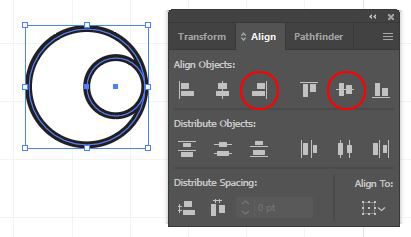 Select both circles and open the Align Panel (WINDOW menu > ALIGN) and select the Horizontal Align Right as well as Vertical Align Center. 12. 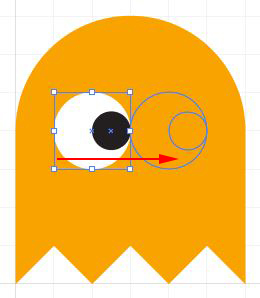 Select the eye and eyeball with the Black Arrow and move it to the inside of the ghost shape – you can use the arrow keys to move along the document’s grid. Change the stroke of the Eye to none and chnage the fill of the eyeball to Black and the stroke to none. 13. 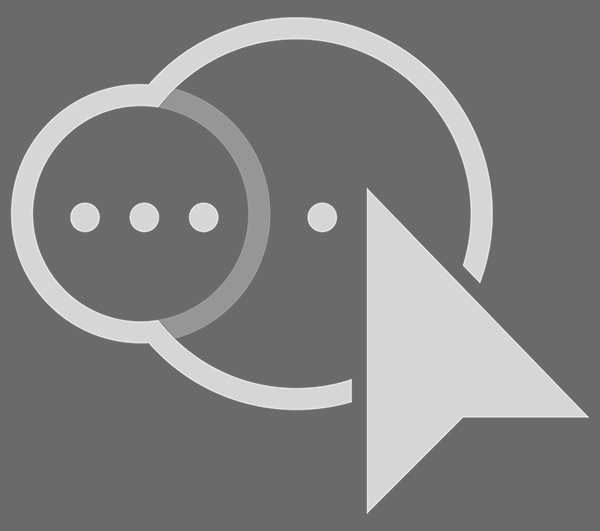 Select the eye and eyeball with the Black Arrow and hold down the Alt/Opt key and drag a copy to the right. 14. Go to the VIEW menu and uncheck SNAP TO GRID. Select the left hand eye and eyeball and type the left arrow key once, do the same for the right hand eye and eyeball but type the right arrow key once. 15. If you want to make all of the ghosts, the fill colors are as follows Clyde – #f9a300, Blinky – #fc2502, Pinky – #feb3b1, Inky – #01dde1. 16. 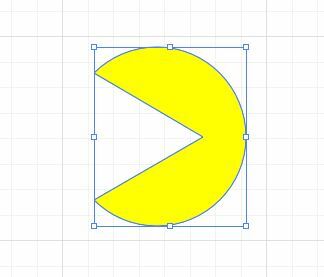 To make Pac Man take the ellipse tool and type in the dimensions 63pts for both horizontal and vertical. 17. Select the Polygon Tool (hold down the mouse or trackpad button on the Ellipse or Rectangle tool to reveal it) and click on the screen and type in the dimensions 44pts for radius and 3 sides. 19. Move the triangle so that it overlaps the circle, select both shapes and click the Vertical Align Center option in the Align Panel. 20. Select the triangle with the Black Arrow and click the right-hand arrow key a number of times to move it beyond the vertical center of the circle. 21. 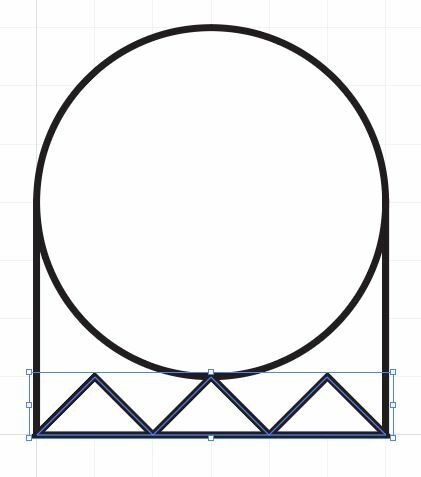 Select both shapes and then click the Shape Builder tool – hold down ALT/OPT and delete the triangle from the circle. 22. 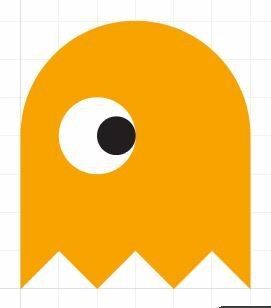 Change the fill color of Pac Man to #ffff00 and the stroke to None. This entry was posted in Tutorials and tagged Illustrator. Bookmark the permalink.